All things eye | Por Yong Ming: What is glaucoma? Glaucoma is a fairly common condition affecting the eye. It generally occurs when the pressure within an eye is too high, causing the nerve fibres that carry signals from the retina to the brain to be damaged. A few issues arise here. 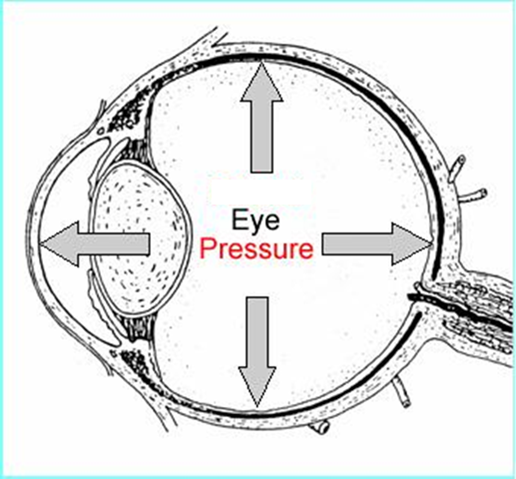 The most common questions I get asked-there’s a pressure within the eye? How high is too high? Is it better to have a very low eye pressure? The eyeball is rather like a football or a car tyre. As an analogy, a football or tyre is pumped to a certain pressure with air. In the eye, pressure is generated and maintained by the production of a liquid called aqueous, rather than air. 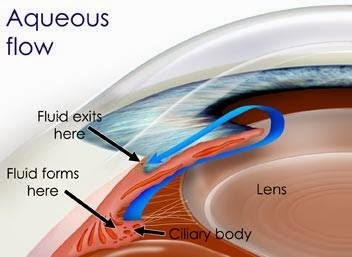 The aqueous is produced continuously, but fortunately there is also a drainage channel for the aqueous to leave the eye. The pressure within the eye (IntraOcular Pressure, or IOP) is therefore dependent on a fine balance between aqueous being ‘pumped’ into the eye, and aqueous leaving the eye. The IOP tends to increase when there is an imbalance between fluid production and how fast it can leave the eye. Therefore, when there is a blockage of the drainage channels, the fluid tends to build up and so does the IOP. Without a certain pressure, however, the eyeball becomes soft and squishy, causing vision to fluctuate with every blink. Indeed if the pressure is too low a number of other problems show up to blur the vision-the retina swells and the eyeball may even shrink (phthisis bulbi). On the other hand, when the IOP is too high, nerve fibres within the retina and optic nerve get damaged. Vision is lost gradually, with blind spots (scotomata) developing, coalescing, and eventuating in complete loss of vision in the most advanced stages. Most people have an IOP between 10-21mmHg (millimeters of mercury), and traditionally those IOPs above 21mmHg were considered 'high'. Nowadays, we know that while very high IOPs like 30 and 40mmHg will definitely damage nerves in the eye, those between about 21-24mmHg do not always result in visual loss. In order to determine whether these patients with somewhat high IOPs need treatment, the doctor will look at other tests such as the visual fields and also the optical coherence tomogram (OCT), which can display the retinal nerve fibre layer around the optic disc or perform an en face analysis via the ganglion cell complex display. In general terms, we can separate glaucoma into 2 main groups: Acute and chronic. In this form of glaucoma, pressure in the eye rises quickly to very high levels. These pressures are often higher than 40mmHg (twice normal). In this situation the patient will experience sudden onset of severe eye pain and headache on the affected side. Vision in that eye will also be very blur. Sometimes nausea and vomiting occur as well. This is the most common kind of glaucoma. Chronic glaucoma does not cause any symptoms in the early stages. There is no pain, no redness, not even a little irritation. As the nerve is progressively damaged, however, vision is affected. Eventually, only ‘tunnel vision’ may be left, meaning that the patient can only see what is directly ahead with loss of the ‘side’ vision (see below). In the most advanced stages, even tunnel vision is lost and the patient may become blind. This is why glaucoma is sometimes known as the ‘silent thief of sight’. In most cases, glaucoma arises without an obvious cause or is age related, ie drainage channels for aqueous don't flow as well as they used to and the IOP slowly builds up. 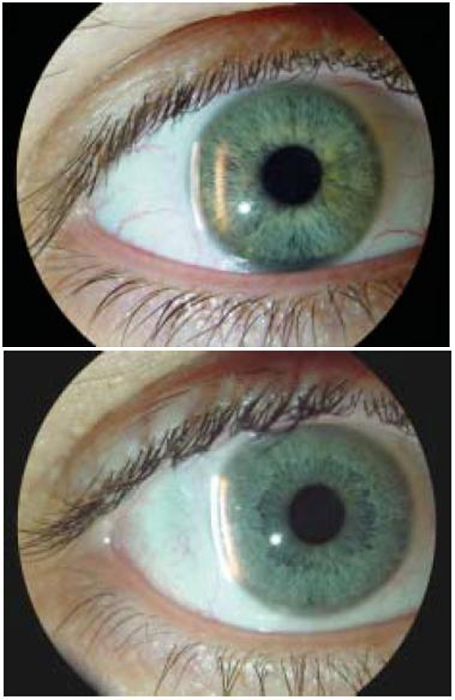 Acute glaucoma and some unusual types of chronic glaucoma occur because the front part of the eye (called the anterior chamber) is narrow (see picture below, and note how close the 2 beams of light are). This narrowness is partly inherited, however, it tends to become worse with age because of the development of cataract. Other less common causes of glaucoma include the sometimes seen side effect of medications like steroids, eye injury, and eye inflammation (uveitis). In the next post, I will discuss how glaucoma is treated. Feel free to comment and let me know if anything is not clear. buy generic latisse online and have best eye care product for glaucoma disorder.